As we mourn the death of Robin Williams, we take a look back at some of his most notable performances on film and the life lessons they taught us. 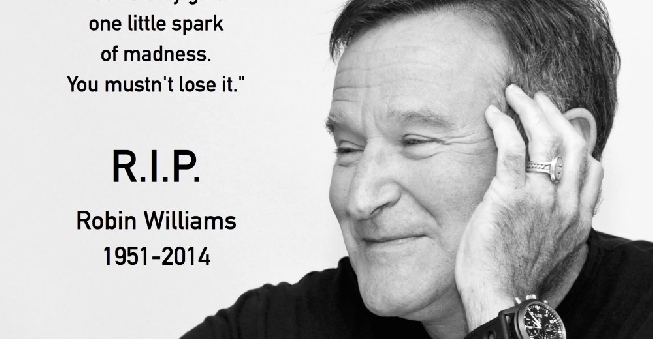 Robin Williams died on Monday August 11, 2014. As we mourn the death of Robin Williams, I wanted to take a look back to remember the life lessons we’ve learned from some of his most notable performances on film. Featuring images and quotes from Hook, Dead Poets Society, Mrs. Doubtfire, Good Morning, Vietnam, Jumanji, Aladdin, Patch Adams, Good Will Hunting, Bicentennial Man, and Jakob the Liar. Rest in peace, Robin. Nanu, nanu.